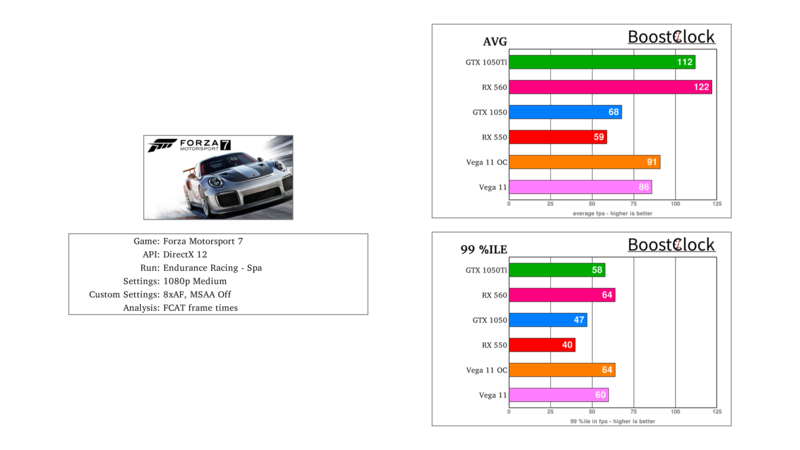 It's always entertaining to benchmark Forza 7 - the driving experience is truly absorbing and the frame times that different configurations produce can vary significantly. For this session we took the Chevy C7.R to the track of Circuit de Spa Francorchamps with the RX 550 / 560, GTX 1050 / 1050 Ti and Vega 11. 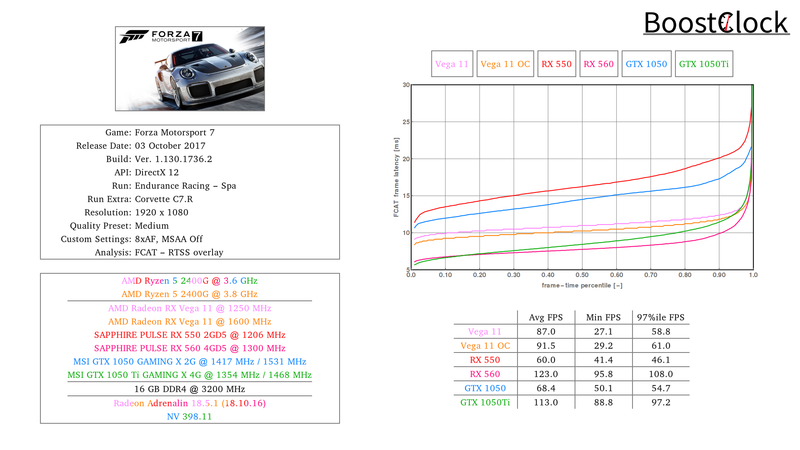 AMD graphics solutions really perform well in Forza games, but from time to time the overall gameplay smoothness is spoiled with frame time choppiness. We reported about the impressive showing of the R9 390X up against the GTX 1060 - the spikes of the R9 390X was later eradicated with a driver update. By the looks of it, RX 550 produces similar spike patterns. 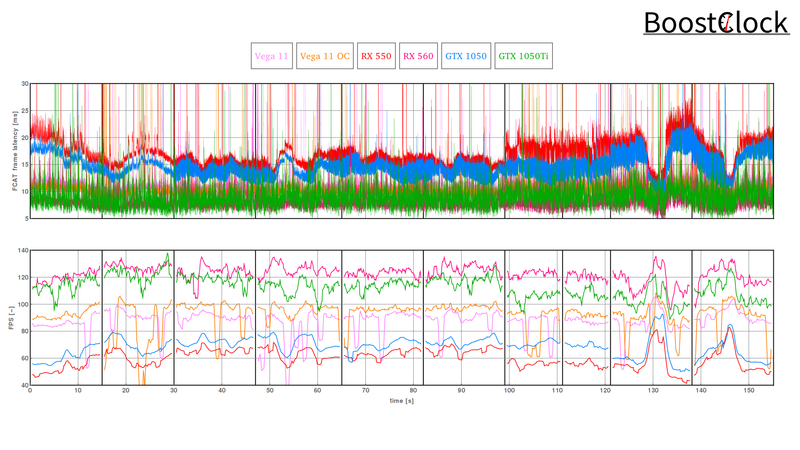 It seems that both the RX 560 and the GTX 1050 Ti suffers from stuttery frame times. The game may have issues with higher refresh rates as the GTX 1050 produced much smoother gameplay with only 2 GB of VRAM. 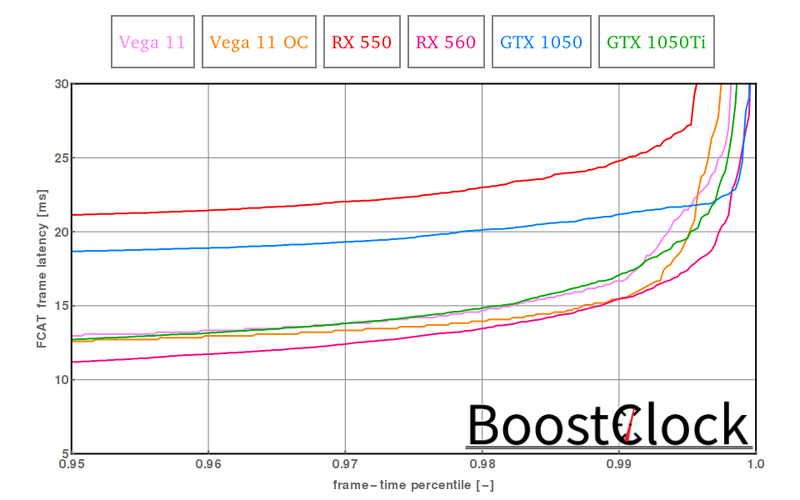 It is quite remarkable that Vega 11 is able to be that much faster than the RX 550 / GTX 1050 - such a shame about the huge stalls, which make the game unplayable.